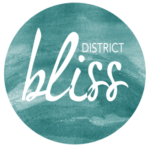 Would you like to join the District Bliss team? We hire District Ambassadors all over the United States. Please complete the form below if you’d like to receive more info! An up-beat go-getter who is either starting a business or interested in further developing a business. A great communicator who is well organized and a team player. Want to be part of the team! We’re looking forward to learning more about you!